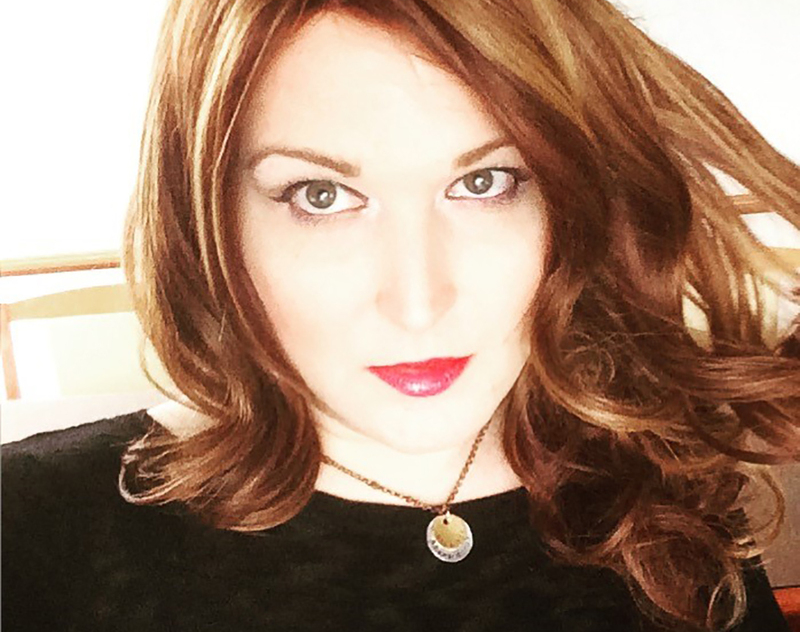 Adventures of a Gender Rebel: To Pen Name or Not to Pen Name? A couple weeks ago I had a nightmare where I was doxxed. In the dream it was kinda my fault 'cause I stole someone's laptop, but it was terrifying to watch the screen as some anonymous person mocked me with my own personal information as they found more and more. Sadly, doxxing isn't just a nightmare. It's a real possibility especially when a woman speaks her mind and especially when she speaks her mind online. Online I've generally always used a pen name. At first this was because I wanted to present female on the internet and it's normal for the people in the MtF and related communities to do so. At the time Buffy the Vampire Slayer was my favorite show and was in its third season. 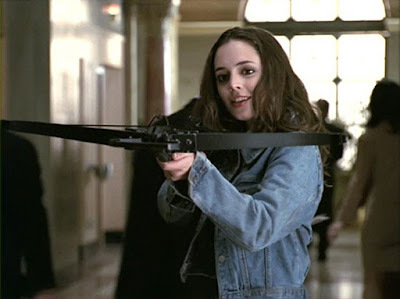 One of that season's main villains (though not the Big Bad) was Faith the evil vampire slayer. As I was a big fan of the show and a big fan of Faith, I decided to pick the name Faith. Better than Drusilla at least. Da Brooke (or De Brook, or some variation thereof) was the last name of an acquaintance in college. I just always liked it. It sounded fancy and foreign and sophisticated. So I adopted that and became Faith DaBrooke. There never was a middle name. Faith DaBrooke worked for me and still does as a pen name. I've self-published a book, run a blog, a YouTube series and a podcast all under that name. It's how most people on the internet tend to know me. But, I'd never planned for Faith DaBrooke to be my real, legal name. When I finally decided to complete the name change process, I picked a new name, one that was right for me. I thought long and hard about it, especially about the middle name. I like my real name. It's a good name. And I even decided, after a long internal debate, to keep my last name. Now that I've legally changed my name, more and more people online are starting to know me as my real name. In fact I no longer have a Faith DaBrooke email address so when people email me I usually reply with my real name. Hopefully it's not too confusing for people. Recently, I was asked to take part in a local event to celebrate the LGBT community and the organizer who had invited me asked me how I would like to be listed on the invitation. And I had to sit there and think "how do I want them to list me?" As my real name since I'm the real person who's been out and involved in the trans community or as my fake persona pen name which far more people would recognize? It's a tough call and it's what really got me thinking on the pen name situation. There would be some benefits to ditching the pen name. For one, I've not yet shared my Faith DaBrooke persona with a lot of friends and that makes it hard to share my writing, podcast and other things. Then again I don't really want to share all my writings or my podcast or my videos with my mom. It would definitely simplify things quite a bit for me. Plus there's something I like about simply being known for who I am now. I don't have to pretend any more. This is me. This is who I am. When you read my blog or watch my videos or listen to my podcast that's me. It's not a character I'm playing. It's just who I am. When I march in a protest or write my representatives or speak out as a transgender woman that's me. That's who I am. Now there are potential issues with being out as just me. My real last name is fairly unique and unfortunately it makes me really easy to locate. Right now with my pen name it would take a fairly determined doxxer to figure out my personal details. I certainly wouldn't want to make it easier for them. And I don't really want my extended family (who I virtually never talk to) harassed with messages about their transgender daughter. Partly, I just want to be me. But I also want to be safe. So I'm not sure how I want to go. For now I'll probably keep erring on the side of safety. The thing about it is that once you're out - you're out. There's no putting the toothpaste back in the tube. But we'll see.